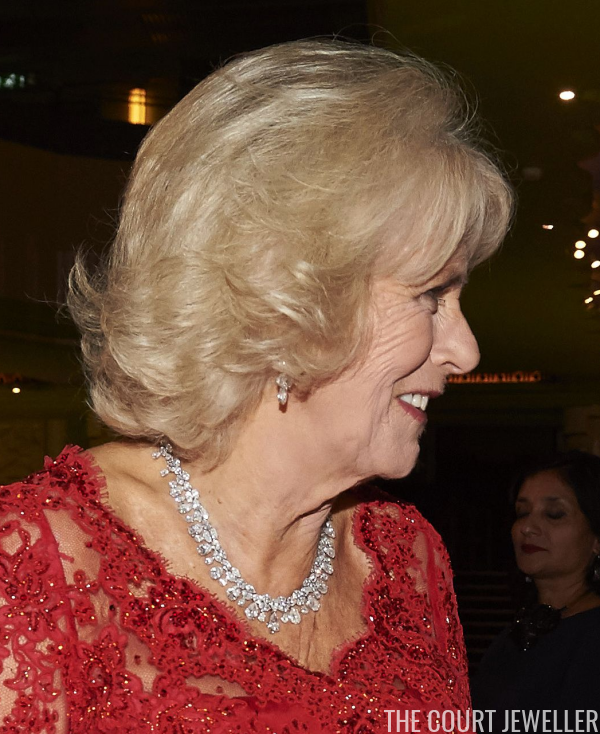 The Prince of Wales and the Duchess of Cornwall attended the annual Royal Variety Performance on Tuesday evening, and Camilla brought major diamonds along with her. 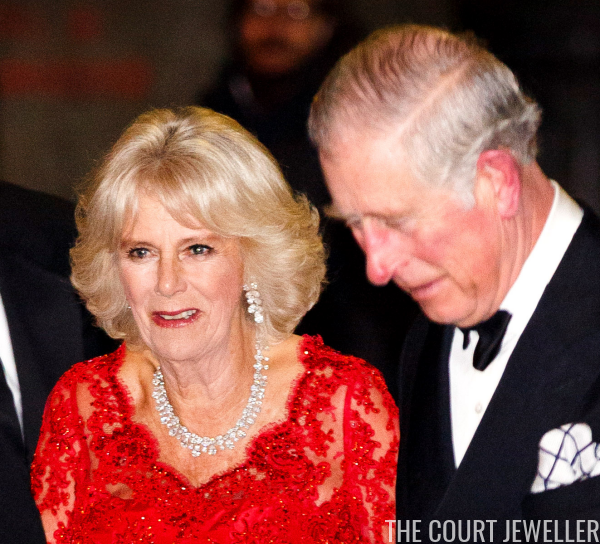 She wore her demi-parure of diamond jewels, which features numerous, clustered pear-shaped diamond pendants. The set includes a necklace and a large pair of earrings. Here's another view of the necklace. And here's a good look at the entire outfit. 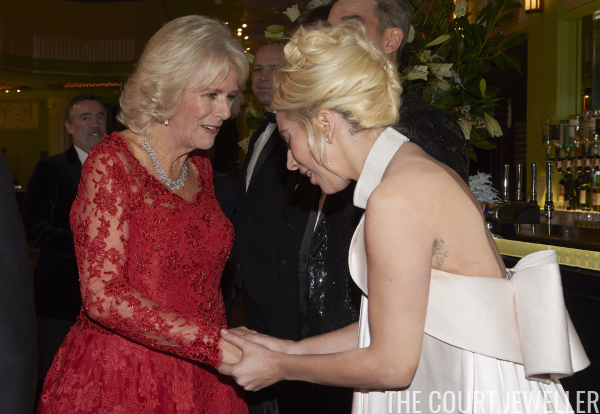 (The color of the gown is much brighter under the bright lights of the red carpet.) 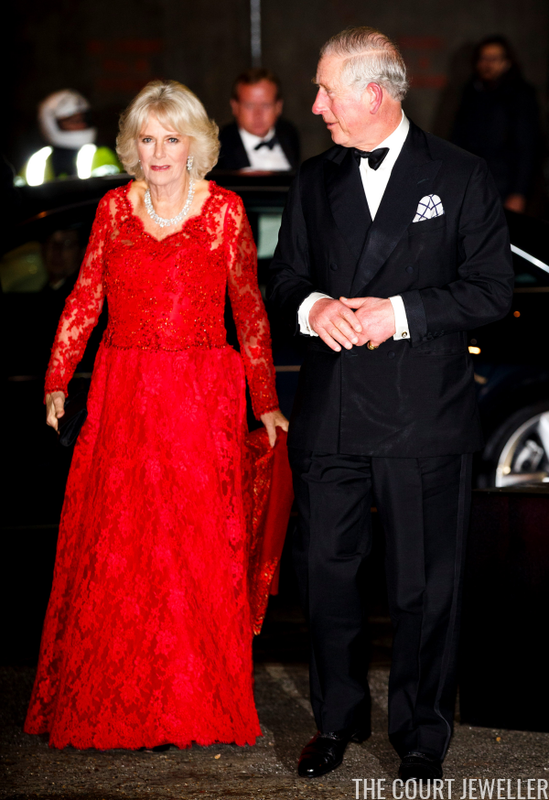 Looks like Princess Anne isn't the only Windsor embracing lace!